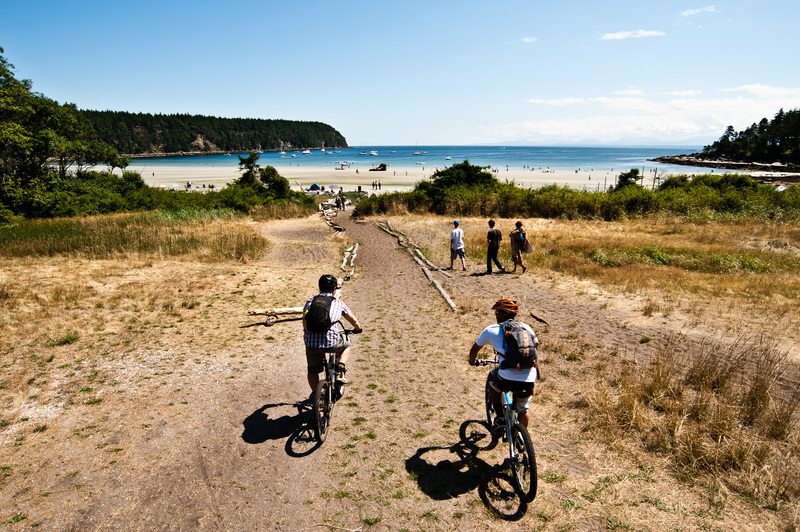 Hornby Island is a true paradise and is a great riding experience for all levels of riders. 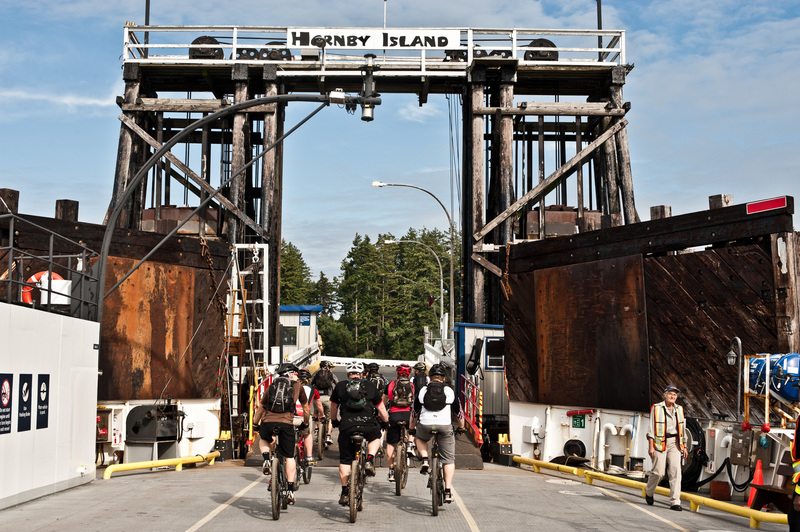 The quaint island charm and the spectacular scenery, combined with the amazing riding makes Hornby the perfect destination. 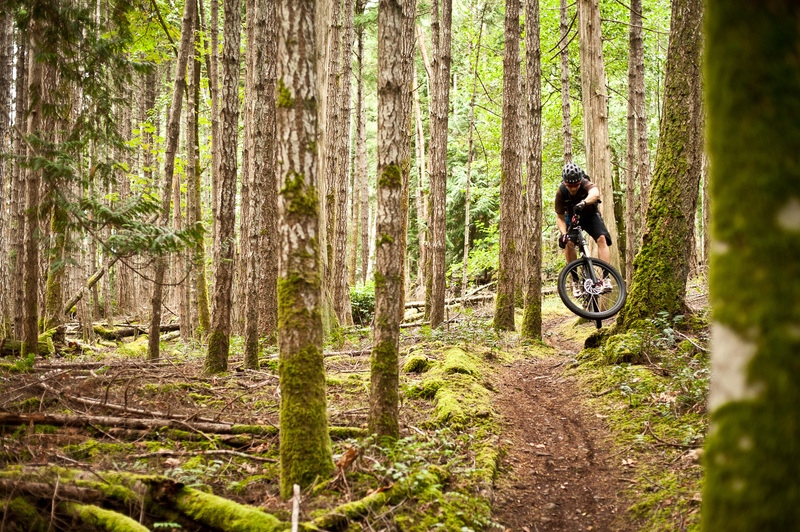 A short climb up from the ferry terminal puts you into the trails of Mt. Geoffrey Park. As you climb along the ridge, you will look back over Denman Island towards Vancouver Island. 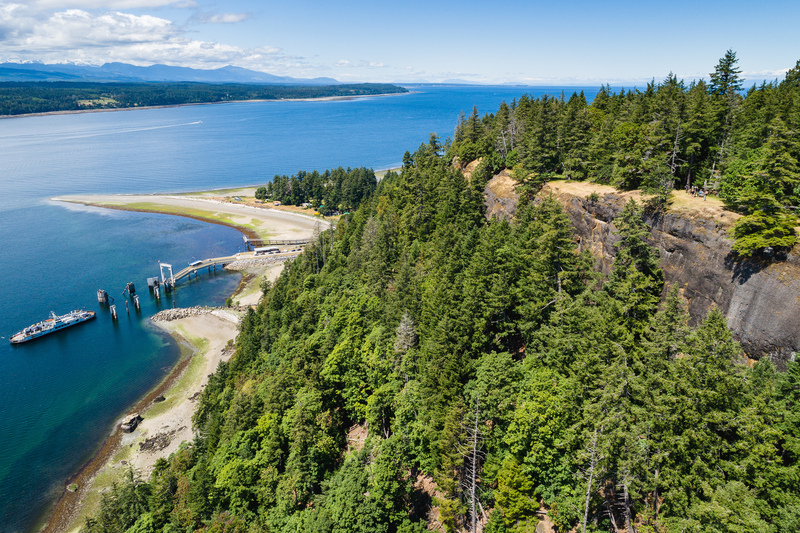 It is from here, looking west that you will realize the full beauty of Vancouver Island, it’s mountains, neighbouring islands and their coastlines. After gaining the summit of Mt. Geoffrey we will then flow the vast array of singletrack that Hornby has to offer. IMR can tailor this experience to sample a few trails or a major amount of the Hornby inventory. To top off the full experience, after a great day of riding, a visit to the local marketplace, the bike shop and then a swim in the azure waters of Tribune Bay is a must. 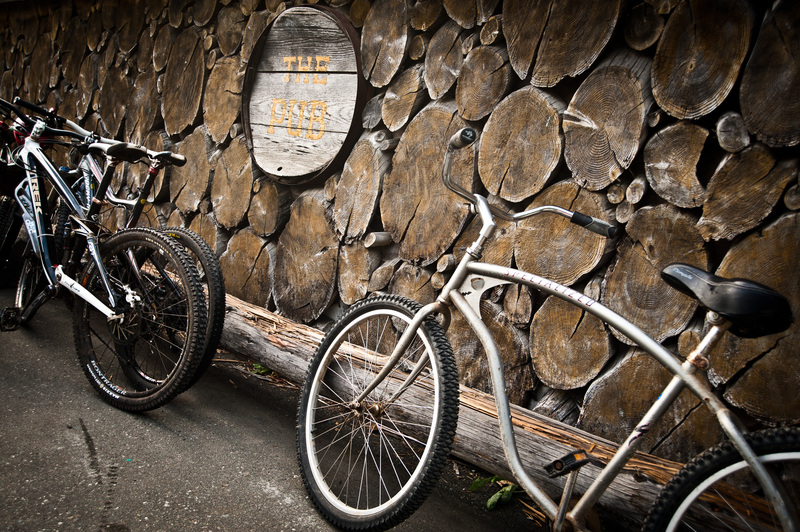 After the ride we go to the pub…. 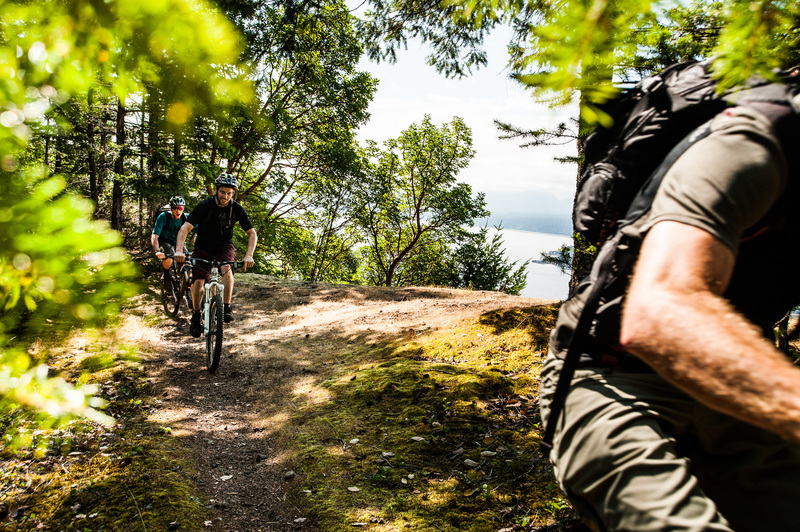 The mountain biking on Hornby Island is almost too good to be true. The island is setup perfectly for riding as Mt. Geoffrey, where the riding is centralized is an absolutely perfect slope. 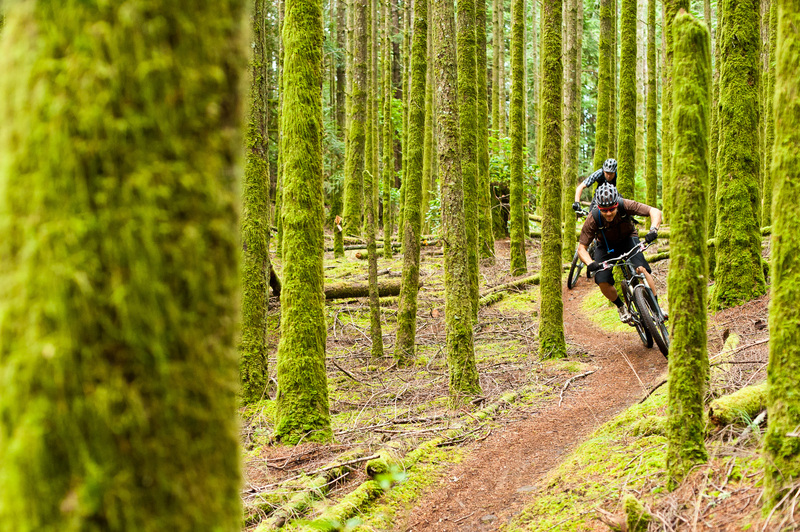 Due to this perfect grade, almost all of the trails can be ridden both up and down the mountain. 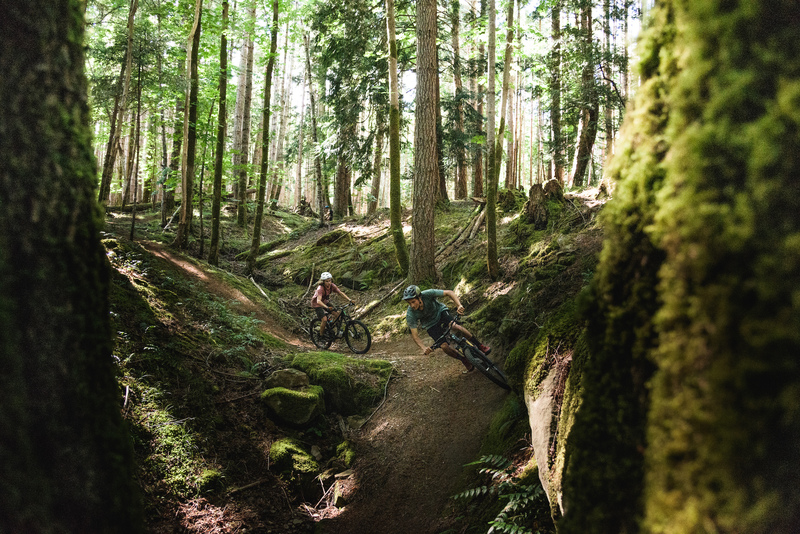 As the trails are not too steep, the riding is extremely fast and flowy with minimal braking sections and very few tight corners. The trails also shed water very well and this combined with great trail design and a hearty local maintenance crew, keep these trails in great shape all year round. 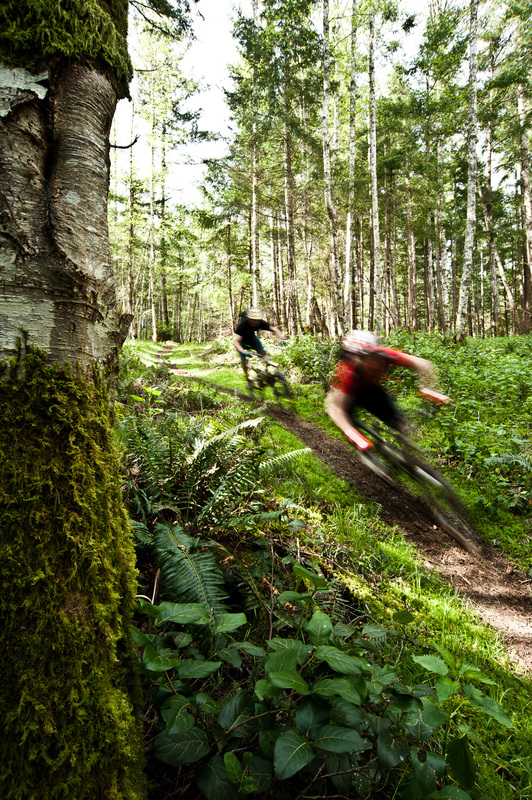 They are some of the fastest trails that you will ever ride! The views from the ridge trail looking back at Vancouver Island are also well worth the climb to the summit of Mt. Geoffrey which is a great place to relax and enjoy lunch or a snack. 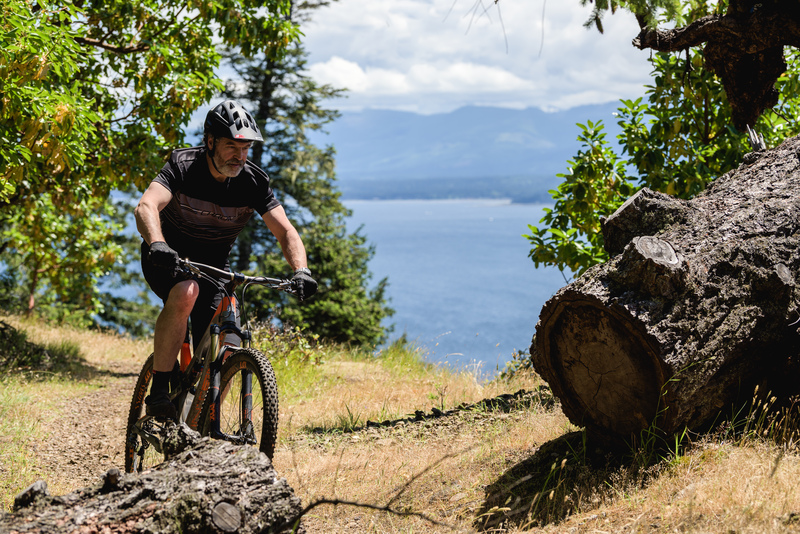 Hornby’s trails are visible from the deck of our waterfront accommodation at Fletcher Cabin on Denman Island. From the Cabin it is a 5 minute ride to the ferry and then a short 10 minute passage to Hornby Island. 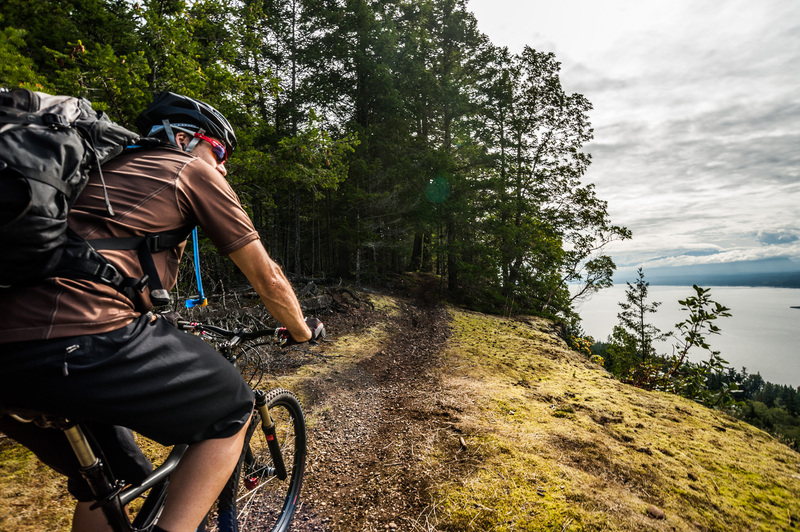 IMR can put together great multi-day packages based out of Fletcher Cabin that can include guided mountain biking, kayaking and other outdoor pursuits. Please see our pricing page for more details. Hornby is also easily accessible from Cumberland. 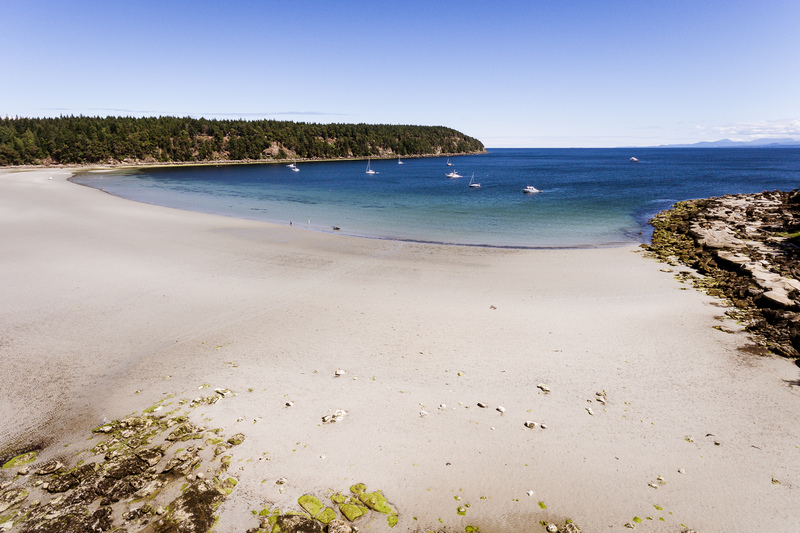 Within an hour from Cumberland, you can be on the ferry to Hornby, enjoying the light sea breeze, checking out marine life while looking at Mt. Geoffrey as you sail in. 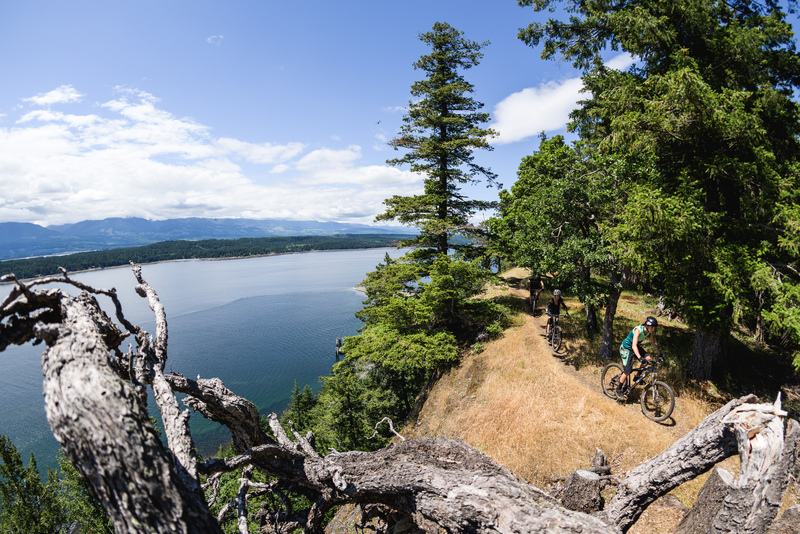 A visit to Denman and Hornby Island is certainly a experience that you will never forget and Island Mountain Rides can take you there!